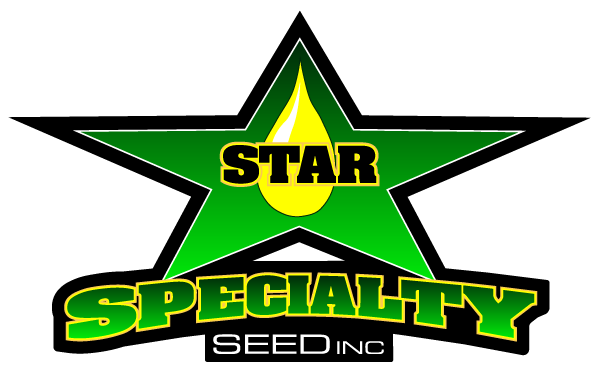 Jim is President of Star Specialty Seed in Fargo, ND. He received his M.S. from SDSU in Agronomy/Plant Breeding. He has 25+ years of expertise in the seed industry, working with major ag companies (e.g., Syngenta, Monsanto, Cargill, Pioneer, DuPont, Advanta, Interstate Seed). John Slater of Star Specialty Seed in Minot, ND. John, having over 30+ years in production agricultural in North Dakota. Working with farmers to make Canola one of the most profitable crops they raise on their farm. Doug Preskey has been with Star Specialty Seed for more than five years. As the regional representative in central and western North Dakota, he helps current and new growers find new ways to make canola more profitable on their farms. Doug is also responsible for working with the local Star dealers in western North Dakota, providing them pricing and marketing support, and specialized canola advice like wide-row canola planting. Doug is active in sports and outdoor activities, especially hunting and fishing. He enjoys being on the Missouri River or at NDSU Bison football games. Doug resides in Mandan, ND. Kristi Johnson has been an ag marketing specialist for more than 25 years, specializing in the US Canola market. Her articles have been featured in Food & Wine Magazine, Canola Digest, and local magazines. Her canola “identity-preserved” campaign received first place at the National Ag Marketing Association. Kristi and Jim work together to provide customers of Star Specialty Seed, Custom Grain Cleaning and Johnson Seeds timely information about new products and opportunities in the ag industry. She has produced advertising campaigns for InterMountain Canola/Cargill; Hansen Marketing Management; San Luis Grain Company; The Idaho Falls Great Duck Race Fundraiser and PATH North Dakota. Kristi has also lobbied in Washington, DC for special causes such foster care and adoption. Her work on this subject has been featured in Parent’s Magazine. She has a B.A. degree in journalism from South Dakota State University. Kristi and Jim have twin boys. (picture of Johnson Family August 2018.) left to right Jim, Kristi, Sydney, Aaron, Lexy and Tyler.